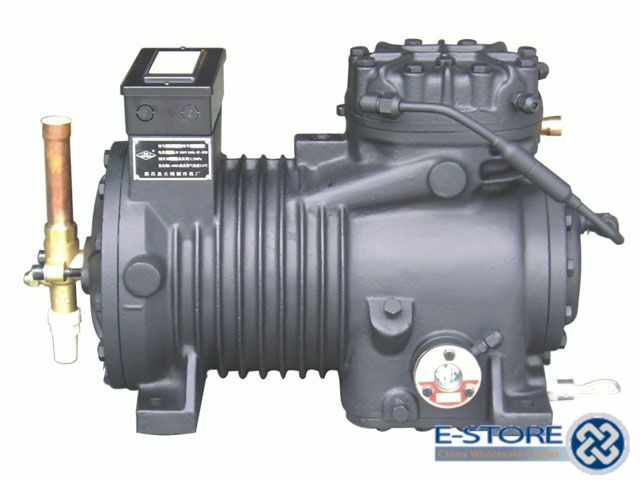 The reciprocating compressor is one of the earliest and still the most common of compressors. The movement of the piston down creates a vacuum in the cylinder and gas is drawn into the cylinder. 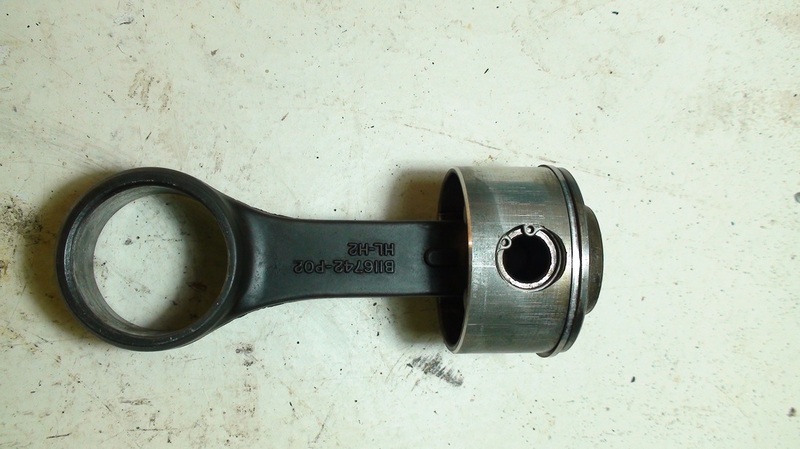 When the piston reaches the bottom and starts back up, the intake valve closes and the piston pushes the gas out of the cylinder. The below animation demonstrates this quite well even though it is applied to an air compressor. 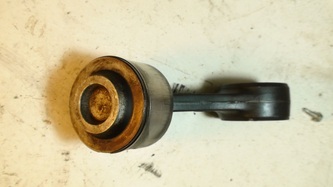 The pistons above are connected to the connecting rod by the wrist pin. The rotating movement of the crankshaft is converted to reciprocating motion. As the piston rises in the cylinder, it gets very close to the cylinder head. The closer to the head it is at top dead center, the more efficient the compressor is. However If it gets too close, it could strike the head. Obviously, that would be disastrous. Further, any oil or liquid refrigerant that gets into the cylinder could cause the same problem because liquids cannot be compressed. The result is called slugging. It can break pistons, valves and crankshafts. This problem places limitations on how the compressor is designed and used. The videos below, show how piston compressors operate and what parts they contain. There are other types of compressors in the powerpoint but for now, we will just discuss the piston compressor. Most compressors are really motor-compressor assemblies. 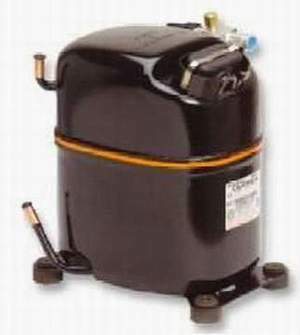 An electric motor is mounted directly to the compressor. The entire assembly is sealed so no air or contaminates can be introduced. These assemblies are called hermetic compressor assemblies. They can be welded or bolted together. If it is bolted together, it is called a semi hermetic compressor. The welded compressor is not repairable. The semi can be disassembled and parts replaced. The welded compressor is far cheaper than the semi hermetic, and is much more common in residential and light commercial air conditioners. Either type provides a sealed system that keeps oil and refrigerant inside and air, moisture and contaminates out. The welded hermetic is on the left and the semi hermetic is on the left.